Ladies Are You Sitting Down? Deffo Gwaine Who Moment Alert!. 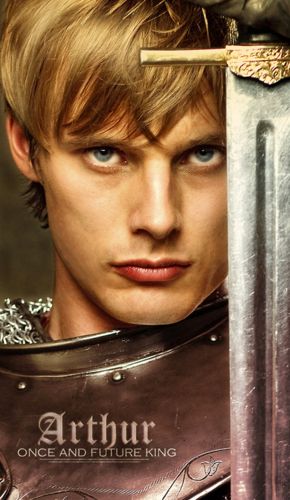 New favourite Arthur Pendragon FanArt Poster! Stunning! Stunning! Stunning!. 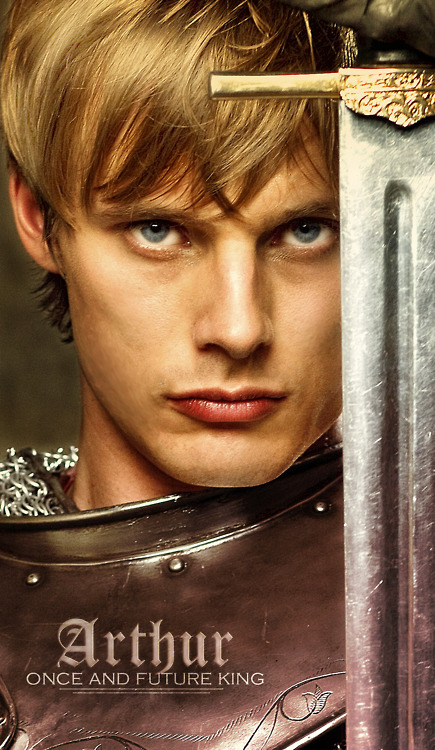 Wallpaper and background images in the Arthur and Gwen club tagged: arthur bradley james. He looks very young here. But those lips, OMG. No the damn thing was slow. Thought it didn't take there, wisenheimer lol! ^Had to hassle you, of course. I love that they didn't over blue his eyes, Perfect! Yes, good on them for leaving them ALONE. Yes. I cannot stand when they try to make his eyes what they are not, some hideous cobalt blue makes him look like an alien or some such crap. They are blue/gray and that is far more appealing for its unusualness. Seriously, why can humans never leave well enough alone? Anyway, truly a beautiful composition. I love all the contrasts and the movement of lines in it. Totally flawless. I even like what she did recolouring and accentuating the metal and warming the hues of the background and skintone. Randomness. This is the shot that someone manip'd into a white shirt. Apparently I really do like this promo-shot a great deal, cause I believe I was Hot Damning all over the place about the head shot prior. I think I like the expression. LOVE THIS SHOT SO MUCH!!! Made my day, i'm all awake now! ^ This! Your comment suits the photo of Gwen. Her expression. It is as though she is actually thinking that. Powerful, stunning and AWESOME picture!